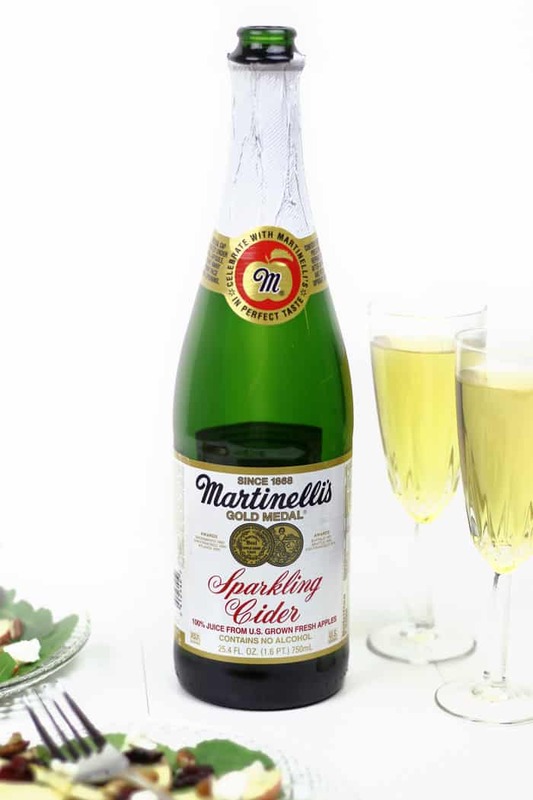 This post is sponsored by Martinelli’s. Thank you for supporting the brands that support Feast + West! 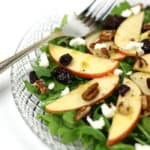 Apple Pecan Salad with Zesty Apple Dressing makes for the perfect salad for your holiday dinner party. 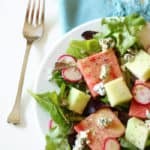 Apples, goat cheese, pecans and dried cranberries sit atop a bed of greens and are drizzled with a sweet-and-sour dressing made with Martinelli’s Apple Juice or Cider and fresh lemons. At the holidays, I feel like there is so much talk of cookies and hot cocoa and not very much of the greener things. Like salad. And I get it. Cookies are delicious and hot cocoa is a must. Believe me, I get it. But salads are important for balancing a meal! Especially a holiday meal. We need some greens in our bodies to offset the cookies and hot cocoa, right? 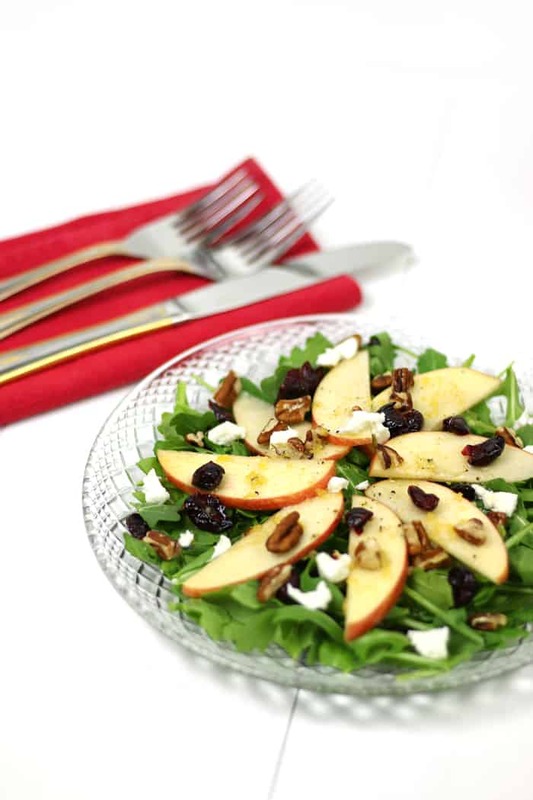 Enter this Apple Pecan Salad with Zesty Apple Dressing. 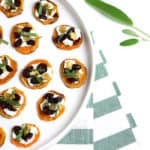 It has all the flavors of the holidays: a base of arugula and spinach plus fresh apple slices, goat cheese crumbles, chopped pecans and dried cranberries. 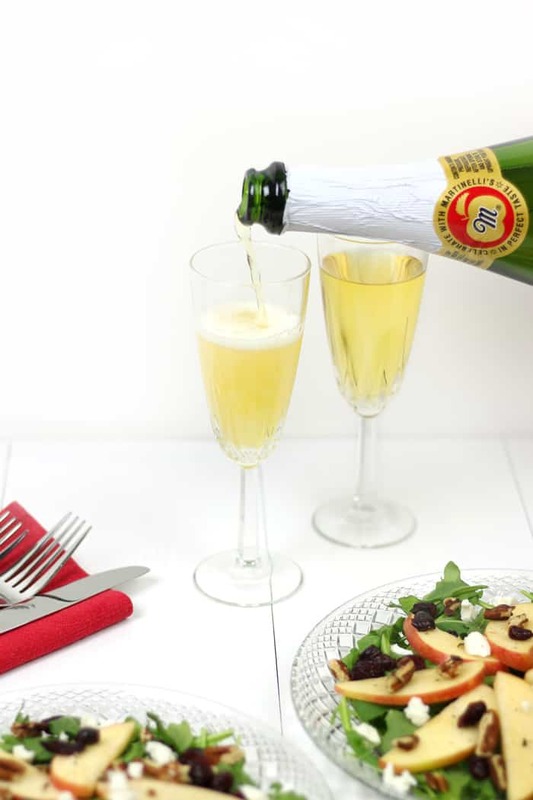 It gets a drizzle of an easy, homemade salad dressing made with Martinelli’s Apple Juice or Cider. For the salad, you can use any kind of apple. I went for a sweet, red Fuji apple to complement the greens, but any apple will do. Seriously. Sweet and sour, the dressing is definitely a departure from the usual bottled vinaigrette. 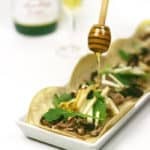 This one uses Martinelli’s apple juice (or their apple cider), fresh squeezed lemon, lemon zest, olive oil, apple cider vinegar, honey, cayenne pepper and sea salt. 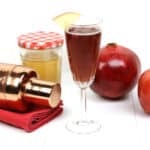 The apple juice and honey bring a sweetness that combats the more tart ingredients. You can make the dressing in a mason jar or whisk it together in a bowl. I like the jar, though, because it’s easier to shake up. I recommend shaking right before you use it, as the oil will separate from the other ingredients as it sits still. This salad is so colorful and bright — a stunning and festive addition to any holiday spread. Hope you enjoy! P.S. Check out this Pomegranate + Goat Cheese Salad, another festive and healthy salad for the holidays! 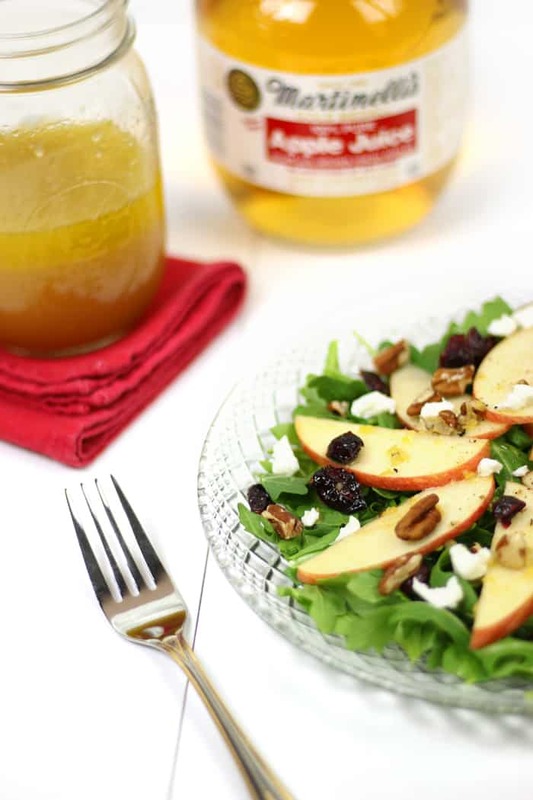 Pin the Apple Pecan Salad with Zesty Apple Dressing recipe! In a mason jar, mix olive oil, Martinelli’s Apple Juice or Cider, lemon juice, apple cider vinegar, honey, lemon zest, salt and pepper. Shake to combine. Line 4 plates with greens. 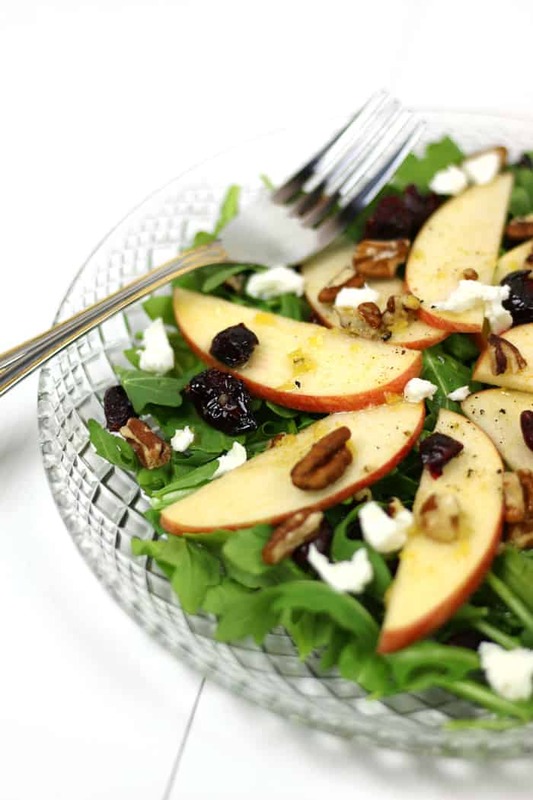 Arrange apple slices on top, then sprinkle pecans, cranberries and goat cheese on top. Before serving, drizzle with salad dressing. Crack black pepper over top, if desired.